Thank you to our catalyzers, collaborators, and participants! We look forward to moving with you in our next event! 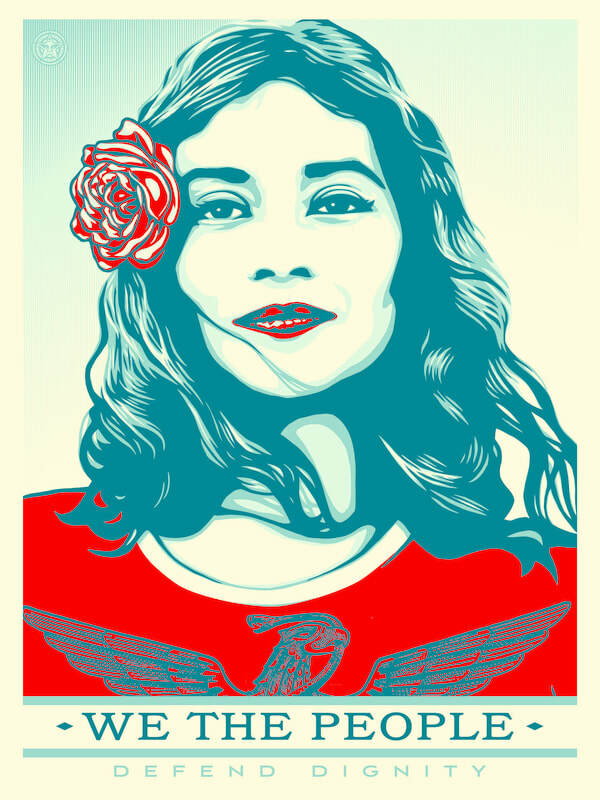 Moving Forward is my somatic-creative response to reaffirm my commitment to the Women's March, to celebrate our spirited efforts, to stand our ground over the past year, and to build resilience in these challenging times. Calling everyone to support and empower women's rights, human rights, workers rights, immigrant rights, reproductive, social, and environmental justice. Last year I collaborated in last year’s march in A Wake and Awaken with EAR to the Ground Productions. It was an empowering experience for me to step out of my comfort zone, to see, hear, and embody collectively with other dedicated individuals. November 2017, I began to wonder if women were planning to take to the streets again upon the anniversary of the 1st Women’s March on Washington, January 21, 2017. 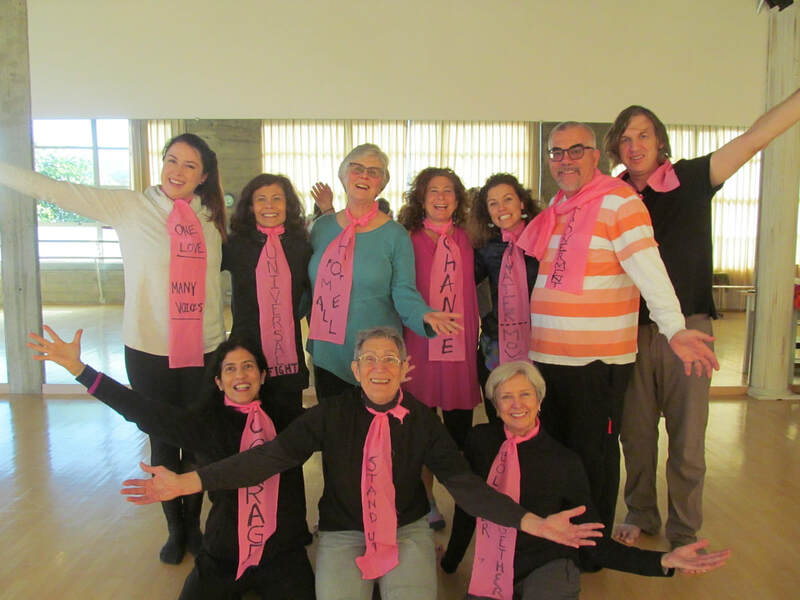 If so, I really wanted to be a part of it again and I wanted to be a part of it in a similar capacity as last year: to participate in a performance group using the expressive arts tools used by embodied activism for renewal, EAR to the Ground Productions. Step one: find out if another women’s march was being planned. YES! 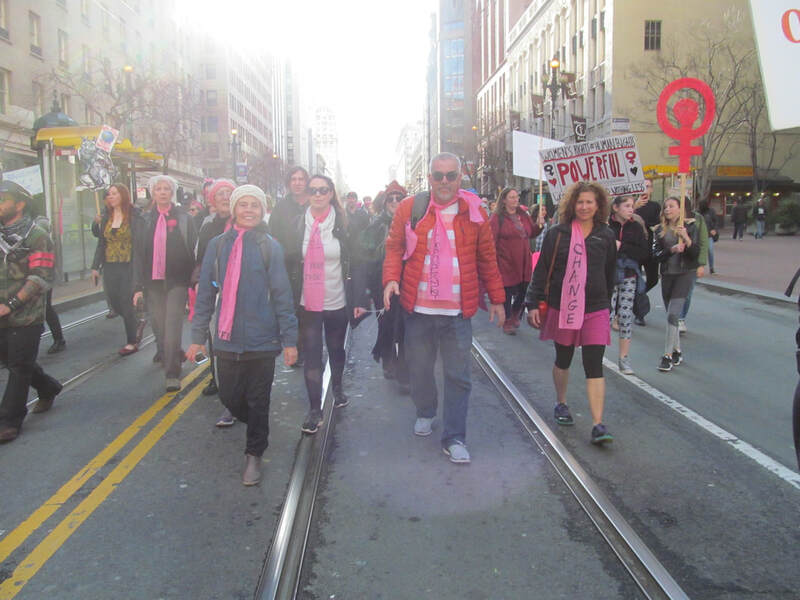 The march was being planned with the theme: First We Marched, Now We Run and was slated for January 20, 2018 in San Francisco as well as around the world. Check. Step two: Call on EAR to the Ground Productions leaders to find out if they were planning to participate this year and nudge for a game plan. I wanted to participate in a reenactment. Check. 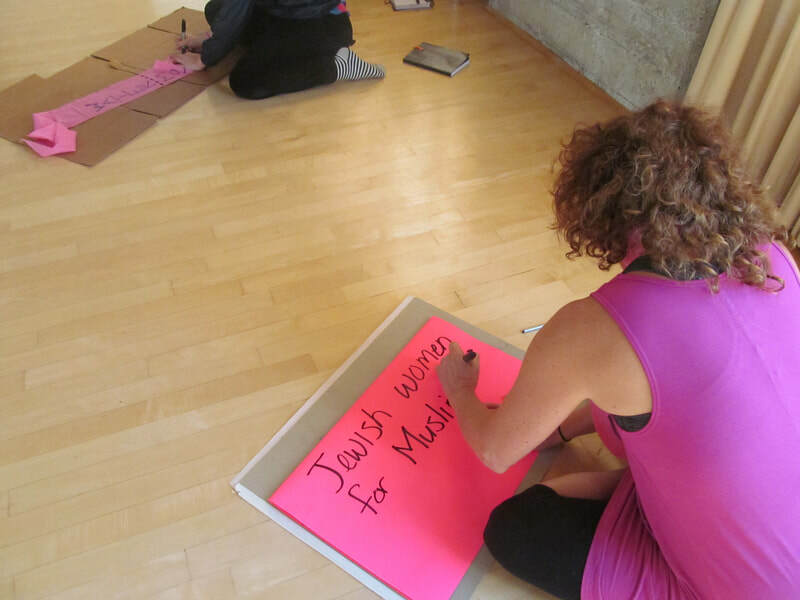 Step three: Joy Cosculluela agreed to lead an embodied activism for renewal workshop at Mary Sano’s Dance Studio the morning before the 2nd annual Women’s March was to take place, January 20th. 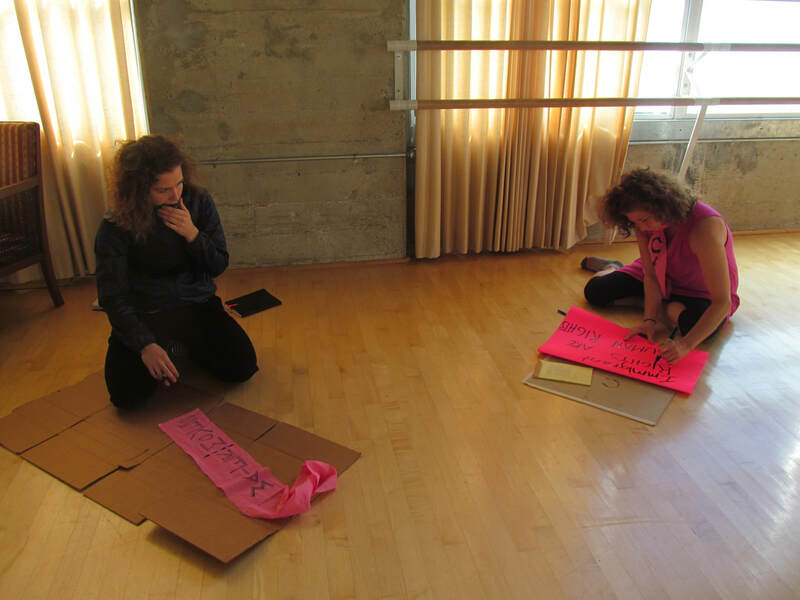 We would workshop an ensemble piece and bring it to 5th & Market Streets to share with marchers. Details TBD. Step four: Catalyzers Sue Heinemann and I agreed to support Joy. Co-founder, Jamie McHugh was planning another performance piece in northern California and not available this year. We learned that coffins were no longer available to use for a recycle reenactment of last year’s A Wake and Awaken. Check. After careful consideration Joy shared her working theme: Moving Forward, Building Resilience and that she was working with an image of a wheel. I then found myself playing with the image of a wheel and a Ferris wheel popped into my mind. I imagined that I was trapped on an ever-rotating Ferris wheel in a chaotic circus. This is how I was currently feeling at the end of the 1st year as a USA citizen witnessing an inexperienced leader who openly expressed that he was against many, many American ideals, agreements and laws that I felt we had worked, as a nation, to achieve for the common good for all the people in our society. I felt and continue to feel unsafe in a way that I’ve never experienced in my lifetime. I found quotes that used the word “wheel”. “Don’t reinvent the wheel. Just realign it,” by Anthony D’Angelo. This quote resonated with me in particular because EAR to the Ground Productions has already created the embodied activism wheel. All we need to do is to re-align it to what we want to bring forth this particular day, at this particular march. Susan B. Anthony’s: “Modern invention has banished the spinning wheel, and the same law of progress makes the woman of today a different woman from her grandmother.” I found myself thinking that it’s hard to believe that women are still having to march for basic human rights and dignity but now we have new tools and resources. We have made progress (e.g. Social media to invite participants, expressive arts tools to help find our expression, more free time at our disposal to create). This took me to the last quote I found by Lorne Michaels: “Sometimes the wheel turns slowly, but it turns.” We choose to turn the wheel of social justice. 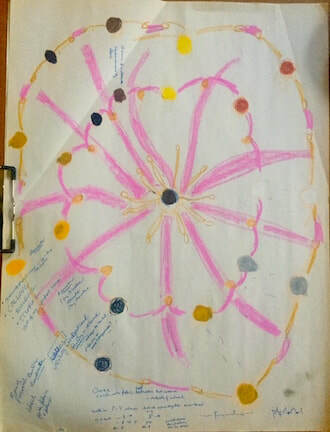 I then felt moved to draw, imagining what we (Joy, Sue and Shelley) could bring to a group of interested artists/activists again using the wheel as a metaphor. We had decided to use Sue’s idea of using lengths of pink fabric, perhaps to make pink ties for each participant. As I drew I immediately imagined a circle dance, the oldest known dance formation that was part of community life from when people first started to dance. I saw and imagined a dance circle ritual where the movers were using the pink ties as connectors to one another while moving in and out of the circle, around the circle, one direction, then another. I imagined that it was simple and repeatable. Moving Forward is my somatic-creative response to reaffirm my commitment to the Women's March, to celebrate the spirited efforts to stand our ground over the past year, and to build resilience in these challenging times. Calling everyone to support and empower women's rights, human rights, workers rights, immigrant rights, reproductive, social, and environmental justice. As a participant in last year's march with EAR to the Ground Productions, which was an empowering experience for me to step out of my comfort zone, I am offering this movement gathering so that I can keep moving forward and keep the spirit of resilience alive. This year I bring forth the word TOGETHER. This word came easily from my strong need to do something, create something significant with others, to collaborate, and from reflections in writing, drawing. 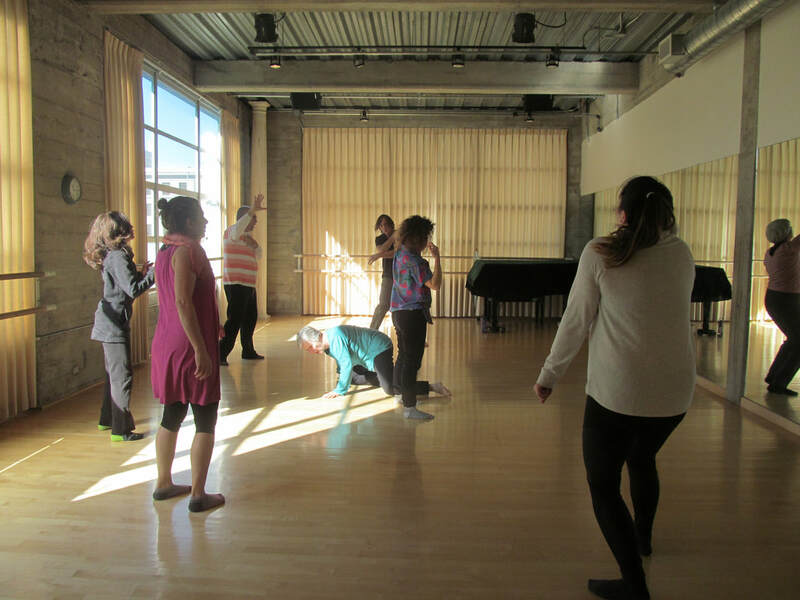 Participants in a movement exploration. Like the circular shape of the wheel, they connect in the center and move out, taking turns to dance what matters to them. 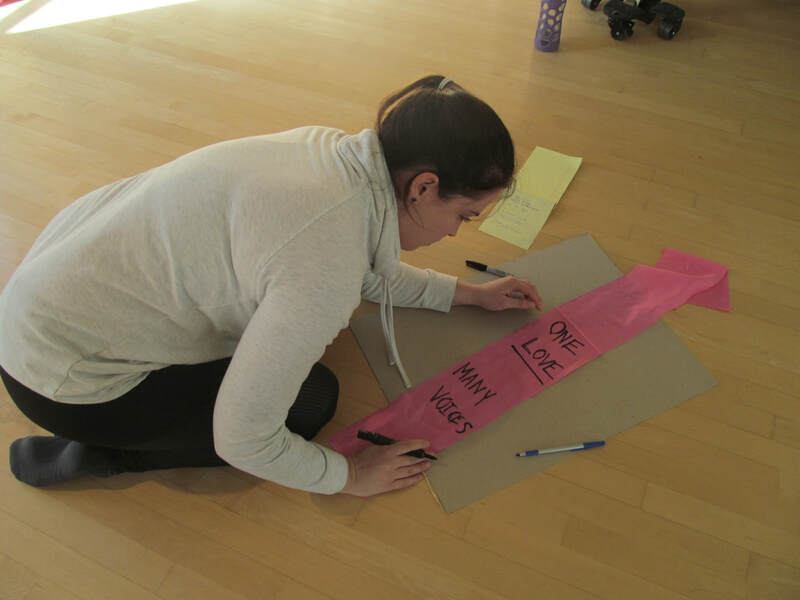 Each participant generated a word or words with a movement gesture that was developed after a guided movement exploration and writing activity to identify what resource we were bringing froward. We taught each other our word(s) and gesture. Together, these became our CHANTS. We found particular places on the sidewalk along Market Street where we re-created our initial circle shape. Joy used her drum to guide/introduce each person. One at a time, each person brought their word(s) and gesture, sharing it 1x followed by entire group repeating that person’s word(s) gestures 3 x, together in a chorus. We repeated this sequence until we learned it by heart. I noticed that the marchers took note of our group each time we stopped on the sidewalk and performed. Some joined in our words and gestures as they passed by. I imagined that we were seen and heard; and that they felt seen as we supported them by being there as their audience as they marched by. It felt reciprocal and mutually supportive. Two audiences. Two moving sets of witnesses. When our ensemble marched, we continued to alternate with each participant’s gesture and word(s) . Again, folks periodically joined in with us, repeating our words and gestures. This felt validating. I felt bolstered by the throng as I bolstered the throng, TOGETHER. IN SOLIDARITY. Tableau vivant on 5th and Market. 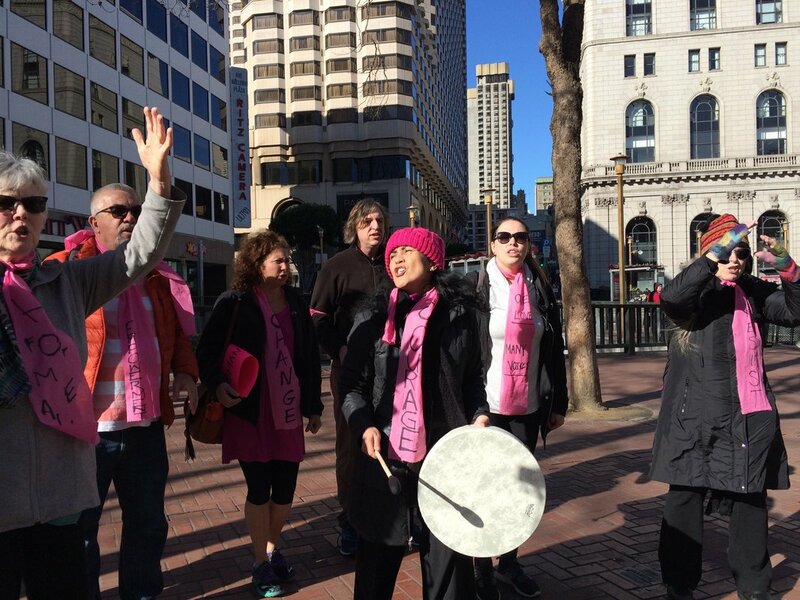 Drumming, chanting and performing our gestures as we faced the marchers. No rain made it much more comfortable to move and be seen in bright sunshine. Overall, like last year I feel very positive and excited about what this brought others who joined in this process, as well as what collaborating and participating brought to my self personally. Joining the marchers on Market Street. 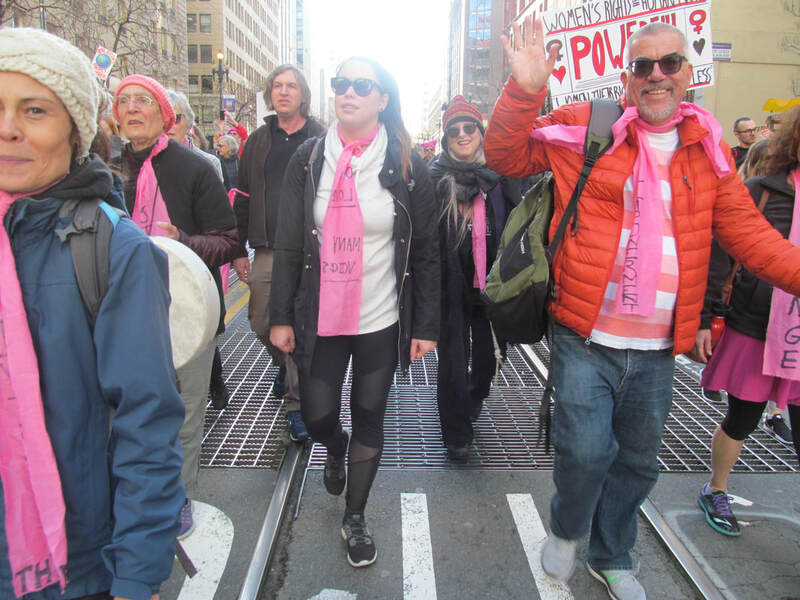 ​I continue to feel excited by the reaction we received from the marchers as they viewed us as they walked by—they saw us and joined us in our chants. We saw them and our voices reinforced them. Our performance inspired them and they inspired us. We were in solidarity. Every time I repeated our words and gestures, another level of experience and understanding was revealed. Layers and layers of new images and meanings leant a sense of more and more power. I also felt more empathy and compassion for fellow humans as the march progressed. The final act of creating a semi-circle at the end of the route: each taking a turn sharing final word(s) and gesture while traveling within the circle, making eye contact with each participant. This was a simple yet powerful ending. I imagined that we came, we marched, we succeeded in enacting what we intended, acknowledged/recognized each other for their contribution. Perhaps our ensemble called in the unexpected, grand finale. A Native American man felt moved and safe enough to join our semi circle. When he felt and imagined that it was appropriate and welcomed he began drumming and singing his pleas and prayers for the injustices to humanity and to our Mother earth. Our ensemble joined in with him. At the close, I felt finished for now yet open to continue to do more. Once again I am aware of how the arts serve to bring humans together where we can find “home”, find safety, where we can take refuge. We gifted each other. It felt like a blessing, a remembering and satisfying. Personally inspired to create poetic response using the word(s) we used. Pink Ties with Words were brilliant. Writing and committing our word(s) on the ties and being seen wearing them—they connected us and set us apart as our own ensemble group. They made for a simple, seeable “costume”. Chants: These became the driving and unifying resource for our performance. Post-Women's March Reflections. Gratitude to Sue Heinemann, Shelley G. Richanbach , Jamie McHugh for support and collaboration for "Moving Forward!" A big shout-out to friends who came to our Pre-March studio gathering and marched afterwards: Beth, Debra, Diana, Kristen, Mario, Melissa, Pj,Rhonda. Grounding our bodies, Energizing and Shaking it up Each Person Fully Embodied and Dedicated their Intention in Gesture and Chants. "Home for All, Change, Universal Fight, Water Moves, Good Road, One Love- Many Voices, Empowerment, Resist, Bolster Together, Stand Up, and Courage!." We stepped onto the sidewalk of 5th & Market and performed our tableau as the marchers marched by. We joined the march and people were joining in as we chanted and pulsed with the drumbeat. It was a bitter-sweet celebration for me -- As an immigrant I remember where I come from, and then remembering this man was here with us, whole people suffered genocide and a tremendous loss… I dedicate my actions to many peoples from all over who are suffering injustice -- and at the same time I am privileged, blessed and fortunate to be living in this place, with freedom to march and express myself. A WAKE AND AWAKEN gave me the opportunity to grieve; to physically carry the weight of what I felt and imagined were about to be our nation’s losses and to grieve my own sense of broken trust--that women’s rights would not be upheld but instead stripped away; and the horrifying fact that a man who has been accused of sexual harassment, misconduct and assault by at least 22 women was elected president of our USA. MOVING FORWARD, BUILDING RESILIENCE gave me another opportunity to work with EAR to the Ground Productions and practice using the expressive arts and social justice together.